Walking around a pond on a rainy day. 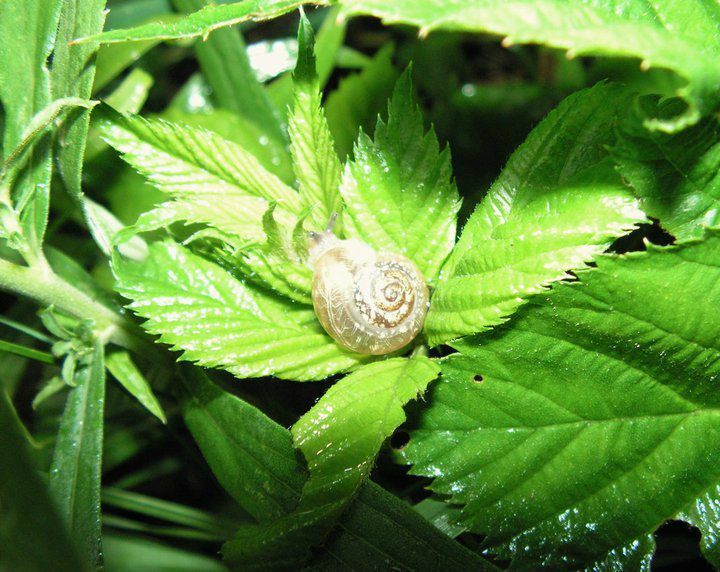 I looked down for a split second and saw this snail laying on a leaf. Date Uploaded: Aug. 25, 2011, 8:17 p.m.